Vive la rebellion! When is the last time a teenager you knew looked up from their phone or computer screen long enough to give a flying hoot about immigration? Well, French teens in Paris on staged a massive protest Thursday against what they deemed to be their classmates' unfair deportations. And they’ve vowed to not return to school until their friends are returned to the country. The anger erupted because a 15-year-old girl and her eight-member Gypsy family were deported to Kosovo, which they had fled years earlier because of discrimination. Authorities stopped the girl, Leonarda Dibrani, during a school field trip. A few days later, another student, 19-year-old Khatchik Kachatryan, was deported to Armenia. The protests were generally peaceful, but some students were sprayed with tear gas after throwing objects at French police. Teens also piled garbage cans in front of schools and bore signs reading “Education In Danger.” In Paris, hundreds of students and adults filled the streets through the city from the Place de la Nation. Protests also took place at more than 30 schools in the city and surrounding towns. 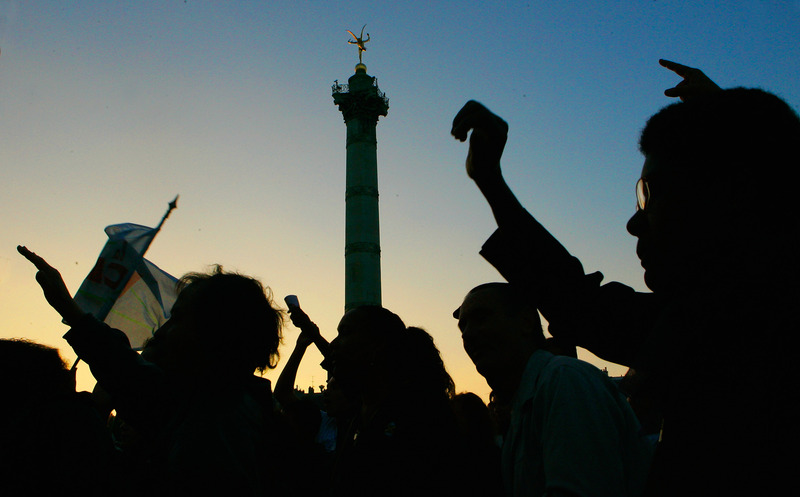 Students hope to put pressure on France’s Socialist government, which they labeled hypocritical. In particular, they harshly criticized France’s Interior Minister Manuel Valls, calling for him to resign. “But we’re also here to express our disappointment in a leftist government that should be acting like a leftist government,” one student said.